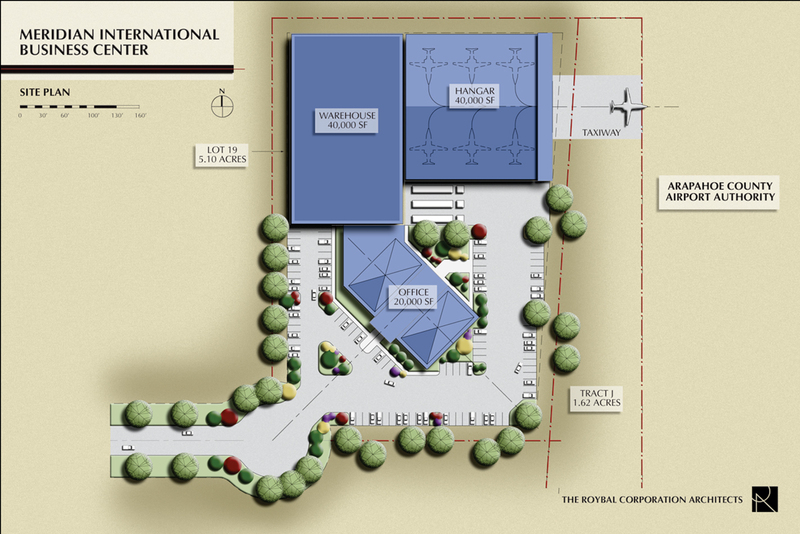 The Mixed use developments were planned by The Roybal Corporation for the Meridian International Business Park. 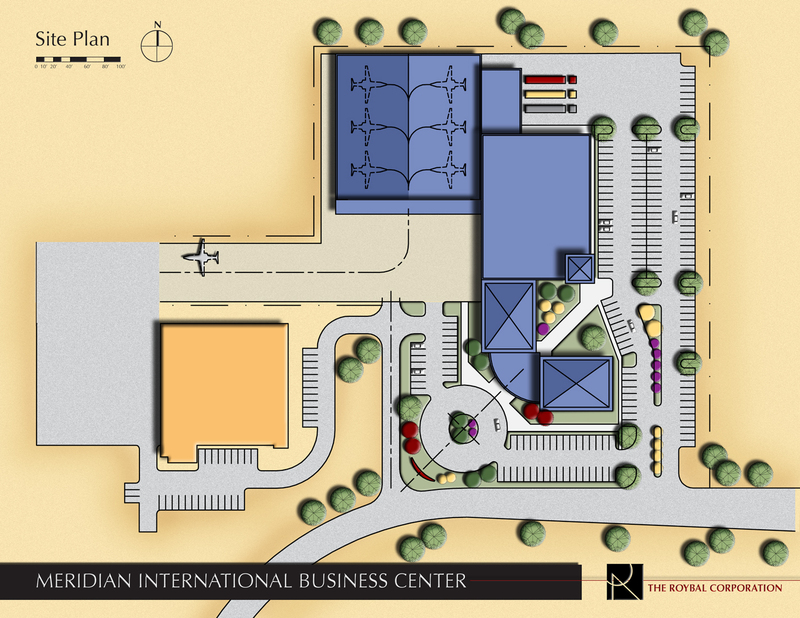 The project takes advantage of its close proximity to the Centennial Airport. Two of the developments take place on approximately 5 acre sites and contain 3 major program elements as follows: 1) 40,000 sf of Warehouse Space, 2) A 40,000 sf Hanger, and 3) 20,000 sf of Office Space. 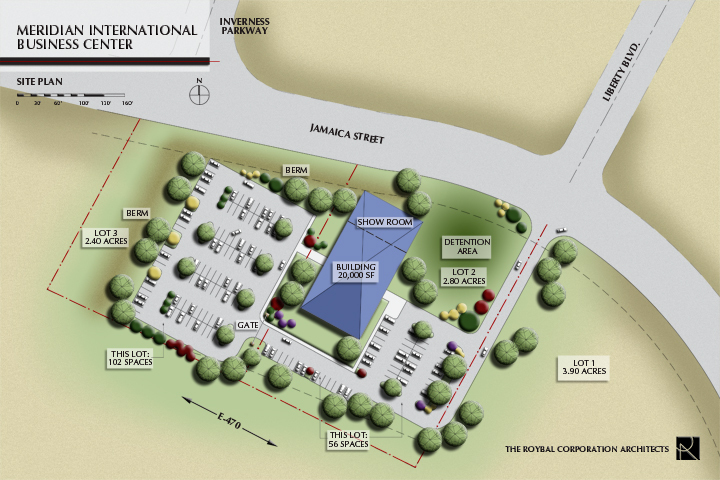 The projects are located on a site to the south and west of the main Centennial Airport runway, and a site to the south and east of the main runway.